Early results promise Iranian reformists a big victory in Tehran's parliament, but while the youth and the Green Movement want to open up to the West, the conservative establishment does not intend to give up power. Preliminary results published Sunday, and with most of the votes counted, indicate that Iranian reformists will win all 30 parliamentary seats in Teheran, with both former president Akbar Hashemi Rafsanjani and current President Hassan Rohani declaring victory. The reformists also grabbed the top ten seats in the Council of Experts. It is not easy to count close to 70 million ballots in two separate votes. 33 million voters -- 60 percent of those eligible -- voted for the Assembly of Experts, whose 88 members are expected to decide who will be the next supreme ruler of Iran after Ali Khamenei. It is also not easy to decipher the handwritten names of the 290 MPs, designed to be a rubber stamp for the Revolutionary Guards and the security and intelligence establishments. Following the screening of the candidates list, and the removal of the prominent "reformists" led by the grandson of Islamic Revolution architect Ayatollah Khomeini, who joined the other camp, the remaining contestants are complete unknowns. "It's just like buying a green watermelon in the market," quipped reformist analyst Said Lilzad from Tehran. "Until you cut it open at home, you do not know if you made a good purchase or were fooled." For the Iranian voter, these elections were dramatic: on paper, for the first time since the nuclear deal was signed, tens of millions of eligible voters -- two thirds of whom are under 30 -- were asked to decide what Iran will look like after the removal of economic sanctions and the cancellation of the international boycott. In practice, the Iranian authorities know how to count and organize the votes in their favor, and how to achieve a result that will ensure their survival. But the apparent reformist victory is impressive and promising. For the reformist faction, the elections were meant to send a message to the West that Iran wants to join the world that kicked it aside over its nuclear program and the violent conduct of the Revolutionary Guards. Young people who tried with all their force to revive the Green Movement are the tool, the bringers of good tidings. 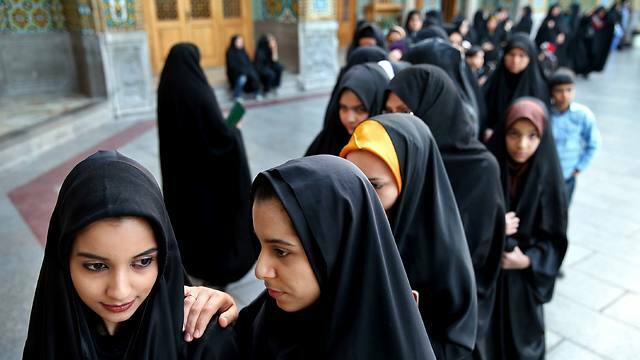 The ayatollah regime, for its part, does not care if the anyone exposes the plight of tens of millions of unemployed and educated people looking for work, young women who would like to remove their chadors, or LGBTers dreaming of not being hanged in city squares. The reformist camp in Iran dreams of lowering Iran from its number three spot on the list of countries with the most executions in the world, with an average of a hanging every two days. And is for the government to with ordinary citizen its billions, the booty expected to result from trade agreements, oil deals, new factories and everything that is to come with the release of assets and the cancellation of sanctions against Iran. Let's put it bluntly: the conservative camp deserves a tip of the hat for the nuclear deal, for President Rohani's warm presentation, and the wide smiles that Foreign Minister Zarif beamed every time he visited Geneva and met with US Secretary of State Kerry. 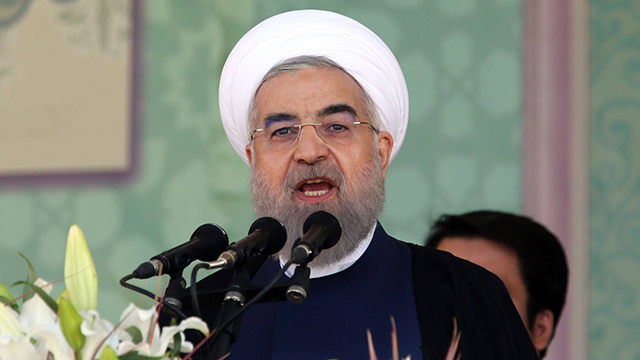 The great achievement of the nuclear agreement belongs to the conservatives led by Khamenei. The second camp, peace-seeking moderate reformists who lit a menorah in Tehran's synagogue, is only a tool in the hands of the government in order to achieve its objectives. Whoever thinks that an increase, even dramatic, of the number of voters for reformists will ensure an immediate revolution in Iran, must remember that the reformist President Rohani, who was elected thanks to the young, answers to the conservative government establishment more than he does to his voters. The establishment does not intend to give up the pleasures of power. Even if reformist Ali Larijani keeps his place as chairman of the Parliament of Iran and Rouhani secures a second term as president, the conservative camp will know how to retain its power and status. Just before the opening of the polling stations, a sweet illusion took hold, when Hassan Karroubi -- the son of Mehdi Karroubi, the leader of the youthful and reform-seeking Green Movement -- announced that his father, under house arrest with Hossein Mousavi, will vote this time. According to his explanation, a mobile polling station will stop at the entrance of his father's house and allow the Green Movement's leaders to vote. The government did not interfere with the younger Karrabi from spreading the good news, which encouraged thousands of young people to decide not to boycott the elections. Long lines were seen at the polling stations n Monday morning. And the mobile station? On its way to hospitals, military camps and government institutions, it skipped, of course, the house of arrestee Mehdi Karroubi. See all talkbacks "Iranian election results: guarded hopes"